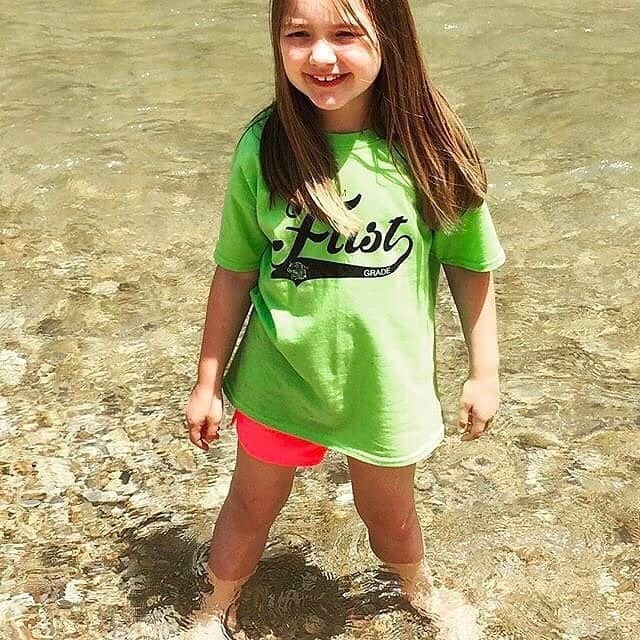 When I think of summer, I think of cook-outs, fireflies, swimming, and…family trips! Growing up, I knew that summertime meant my family would go somewhere, often in our pop-up camper. Now, my family continues the tradition. As a teacher with a kid in school, our big trips happen during the summer. We look forward to our destination for many months as we dream and plan. A summer trip is between one and two weeks for us, so that means there is still a lot of summer left over. Just because we are home again doesn’t mean that the wanderlust is cured. So what to do? For us, it’s little getaways here and there, sometimes during the week and other times for a weekend. I’ve included very different experiences so you can find what is best for your family. 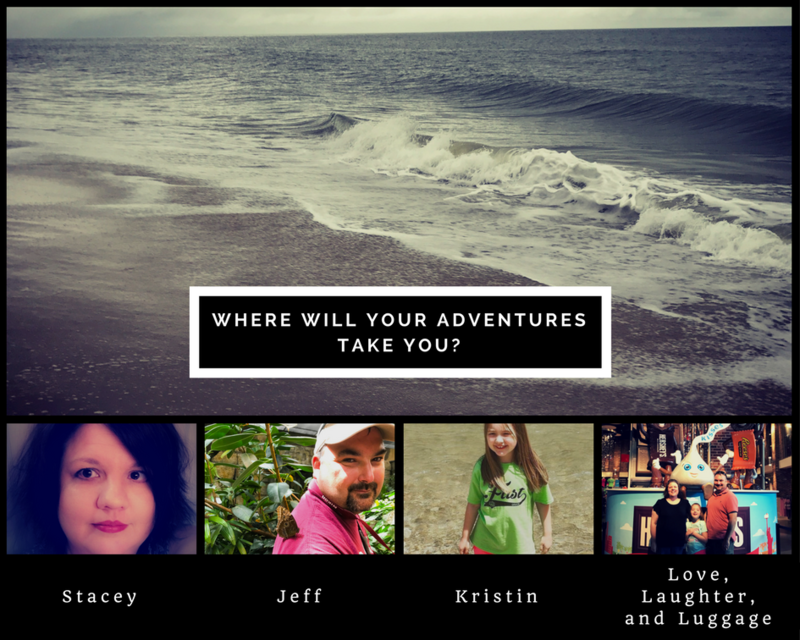 Here are my favorite “getaway for a few days” places for families in Missouri! 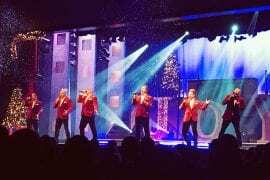 Branson could easily be a week-long trip, but we live less than two hours away from this Missouri entertainment hub, so we often go for a couple of days. The options here for family entertainment are almost endless. We’ve been coming to Branson for years, and we always find something new to try along with experiencing our old favorites. One of our favorite places to visit is Silver Dollar City. This theme park celebrates the culture of the Ozarks while entertaining the whole family. Yes, there are rides for thrill-seekers and younger children, but Silver Dollar City has so much more. Craftspeople demonstrate blacksmithing, glassblowing, candlemaking, and many other traditional arts from the past. You can purchase these crafts throughout the park. Music plays a big role here, and there are shows scheduled daily in various locations depending on the season. There is also a music show in the evening after the park closes included with admission. 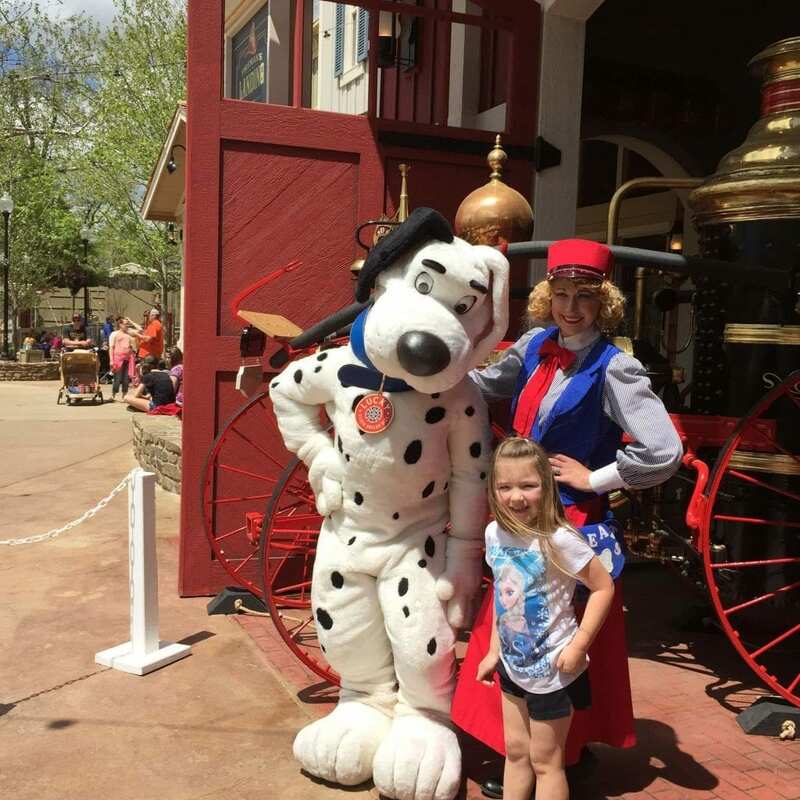 My advice for doing Silver Dollar City in the summer–go early! Try to get there before opening if you can. You’ll be able to ride a lot of rides before the rest of Branson has finished breakfast. You can take snacks and drinks in if you would like, but also know that you can get free ice water at food locations with fountain beverages. You may want to consider doing a show in the afternoon, like the Silver Dollar Saloon. This is a great place to get out of the sun. 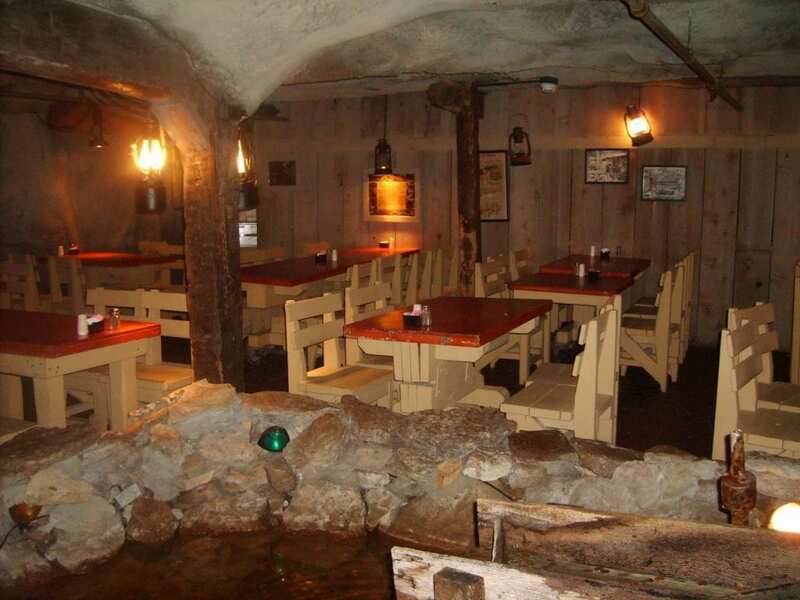 Also, dining inside the Mine Restaurant during the heat of the day is a great idea! This park was initially created as something for people to do while they waited to tour Marvel Cave. 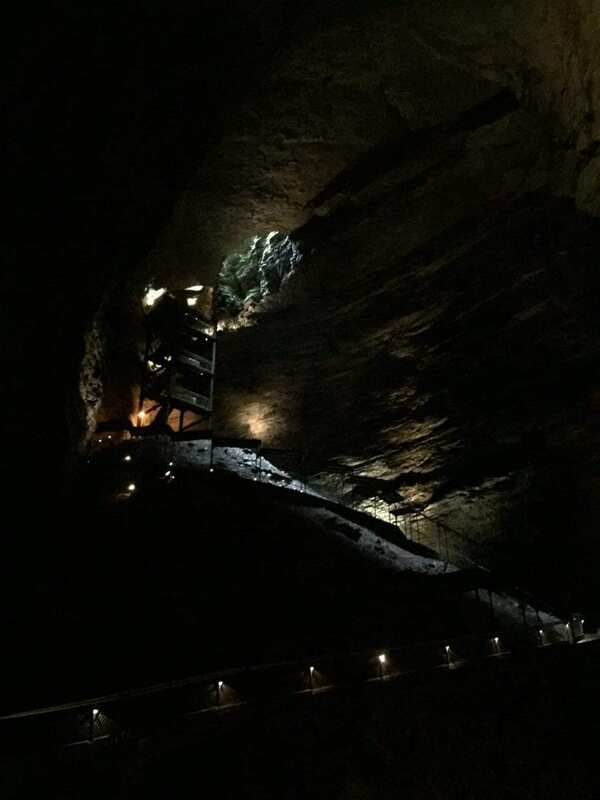 You can still take a cave tour today, and it is included in your admission. In the summer, the cave is a great place to cool off during the day. It is always around 60 degrees in the cave; sometimes we even bring a light jacket. There are stairs in the cave, 600 to be exact, so keep that in mind as you plan. The tour leaves every half hour, and it lasts for about an hour. Of course, many families are excited about the rides. There is a little something for everyone, including world-class roller coasters to original dark rides. 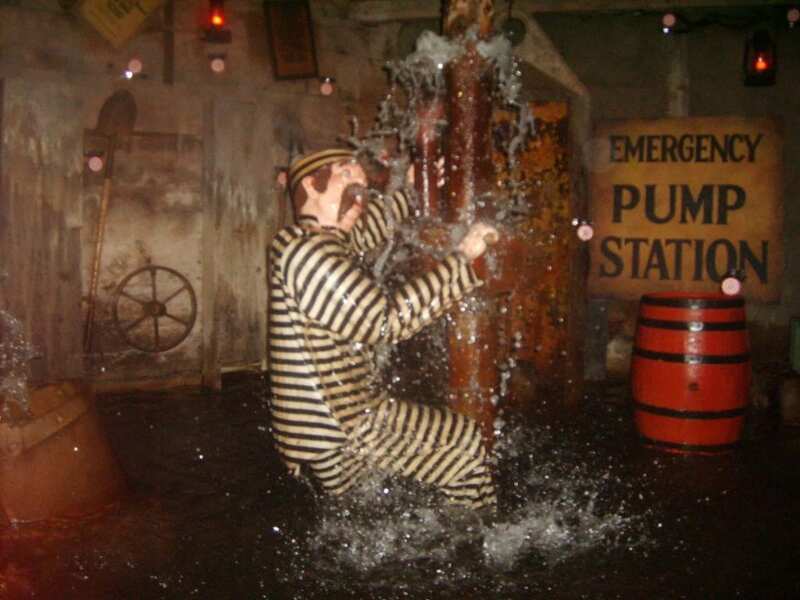 The Flooded Mine is one of our favorites. This gentle boat ride winds along in cool darkness before a quick peek outside to see these guys. For families with small children, there are three great areas with rides just their size. 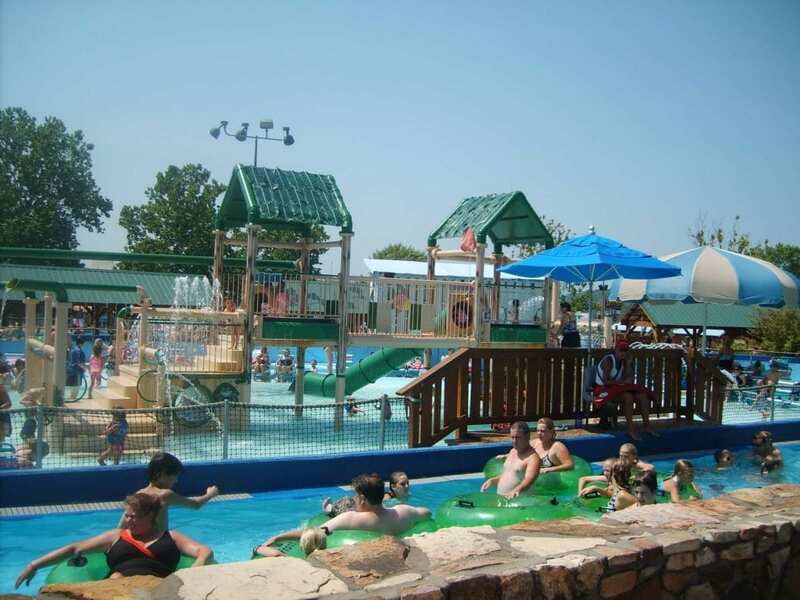 One area is the Fireman’s Landing where kids can bounce around with their favorite Silver Dollar City mascot. There is also an area with a tree house and a carousel. The Grand Exposition Area also has some great rides for children. If you have an infant, there are several nursing stations around the park. They have rocking chairs and changing tables. I used these many times. Of course, older kids will be interested in the water rides and coasters. 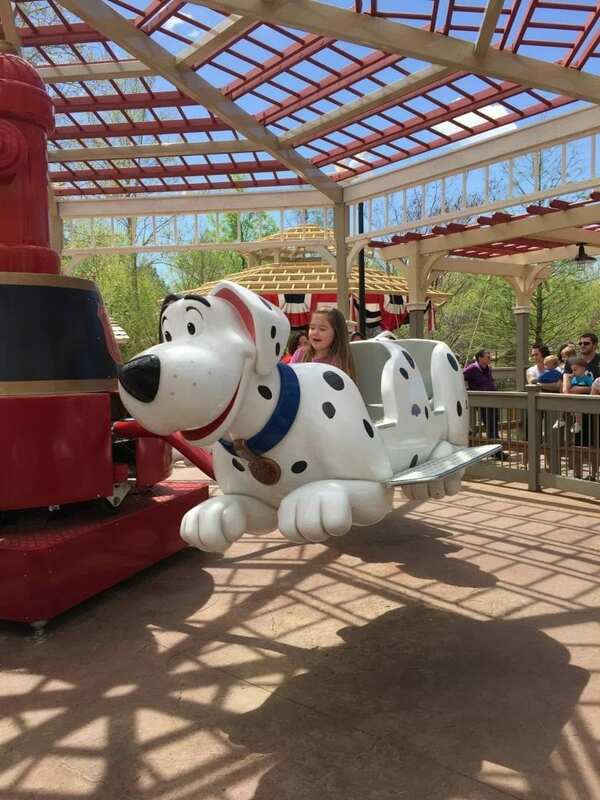 There are plenty of thrills at Silver Dollar City. 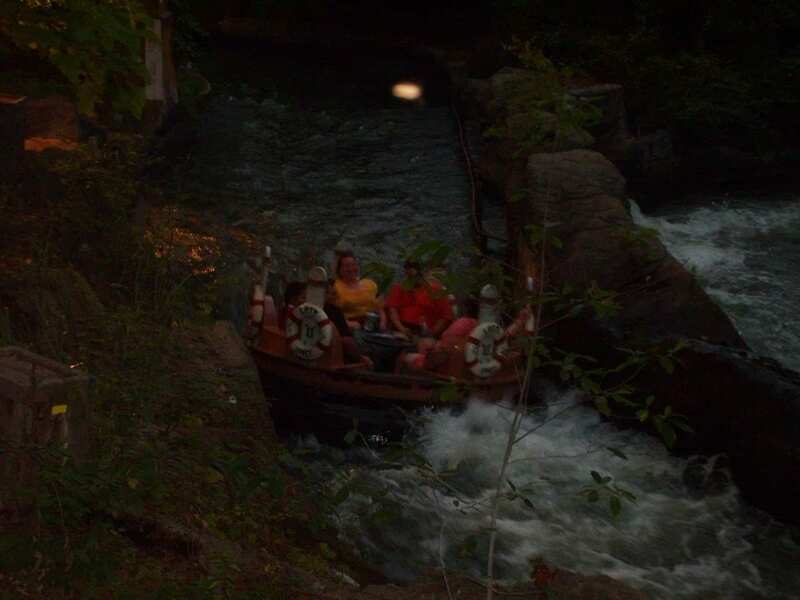 One really great thing about summer at Silver Dollar City is Moonlight Madness. On select nights during the later part of summer, Silver Dollar City stays open into the nighttime. This is a much cooler time to go, and the park has a great atmosphere! Though Silver Dollar City is a family favorite, there are many other things to do in Branson. White Water is a great way to cool off in the summer. I also suggest getting here right at opening, as well. If you can beat the crowds you’ll have a much better experience! White Water has some major thrill slides. But there are plenty of mild attractions and something for everyone in between. Of course, there’s more to Branson than theme parks. One attraction our family really enjoyed was Branson’s Wild World. This is also a great placce to get out of the sun and have some fun. This indoor animal attraction features an aquarium, reptiles, wolves, parrots, and much more. To read our review, click here. Another attraction we’ve enjoyed is the Promised Land Zoo. This small private zoo offers many hands-on experiences with their animals. To read our review, click here. Another attraction for great family fun is Riding the Ducks. The “Duck” mobiles begin a tour on land, but later in the tour, they plunge into Table Rock Lake. There are also Duck excursions that leave from Branson Landing. Speaking of Branson Landing, where is the perfect place for shopping and dining in the evening? Branson Landing, of course! We love to head over at dusk and find a table next to the lake. 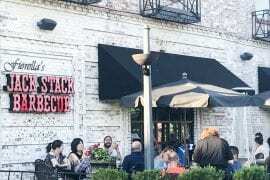 Garfield’s is a favorite of ours for this, and they sometimes have live music out on the patio. The Landing also has a fountain and fire show that happens periodically throughout the evening. Another great place to eat is Mel’s Hard Luck Diner. It has classic diner fare and singing servers. To read our review, click here. Branson is known for live music shows, and what trip to Branson would be complete without at least one? One of my family’s favorites is Dolly Parton’s Stampede. The food is filling and fun–you can eat everything with your fingers! (Bring some plasticware if this doesn’t appeal to you.) The evening begins with a juggling act, and then you are seated in the main arena for the show. Kids love to see the horses and other animals. My kids have always been so entertained by the show that I have to remind them to eat. Everything is indoors, so this makes it ideal for a hot summer evening! Another great show we love is Six. The music in the show is completely a capella, but that doesn’t mean they don’t rock! This show captivated my kids from beginning to end, so I definitely recommend this show for families. If you have very young children, you may need to consider if a two-hour show is for you. You know your kids best. We also love to see Clay Cooper’s Country Express. This show is also great for families. To read more about our experience, click here. Click here for more information about my favorite things to do in Branson! 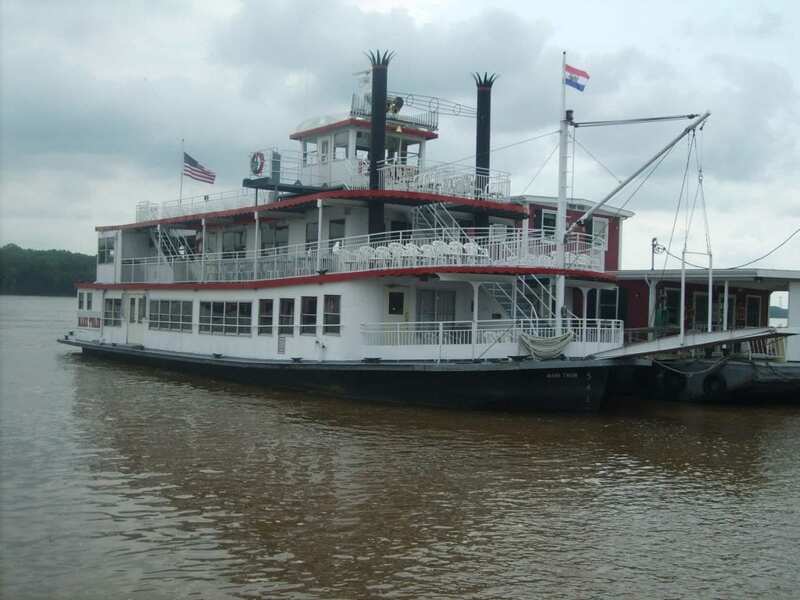 If you dream about cruising the Mississippi in a riverboat while thinking about days gone by, then Hannibal is the place for you! 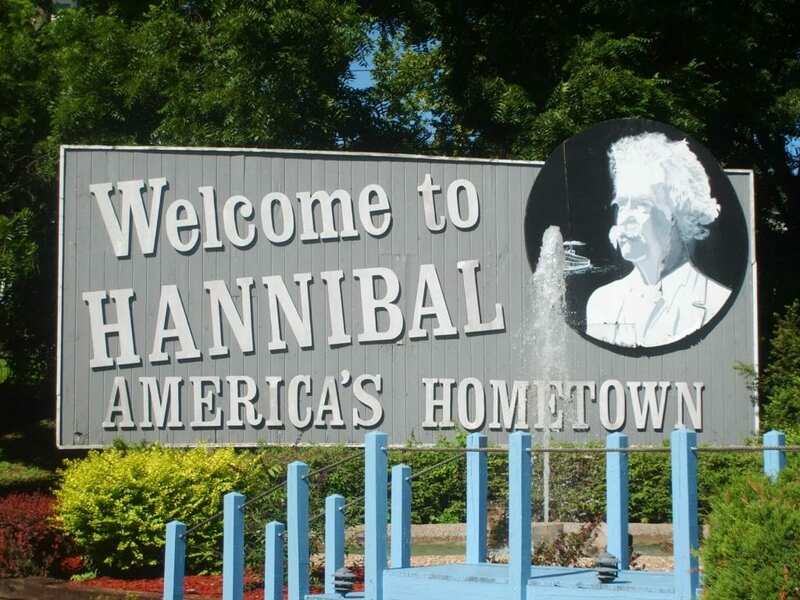 Though we have only been to Hannibal once, it remains a memorable trip for us. If you enjoy history and Mark Twain, you will love it here! We only had two days here, so we focused on the Mark Twain attractions. 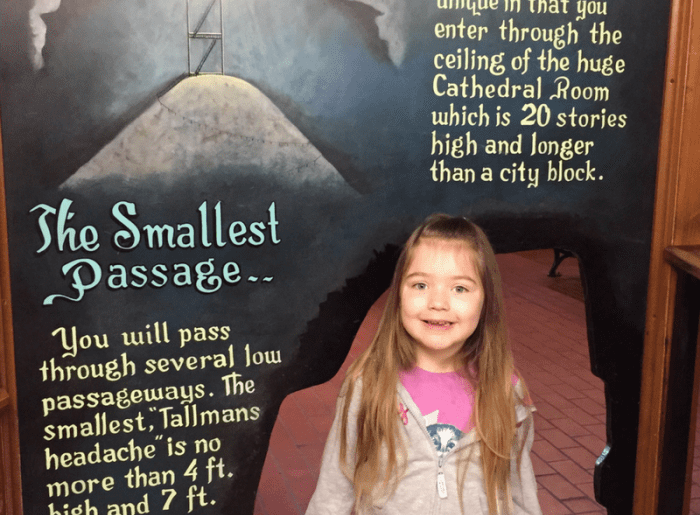 We bought a combo ticket that allowed us to do the Mark Twain Boyhood Home and Museum Complex, the Mark Twain Riverboat Cruise, and the Mark Twain Cave. The boyhood home and museums tell the story of Mark Twain. 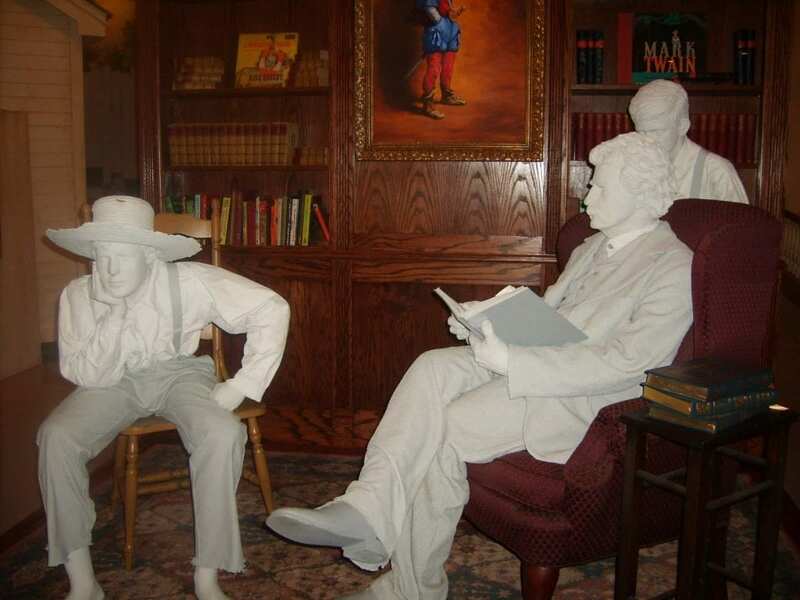 They put you right in the history of Mark Twain’s life, and many of the exhibits are interactive. 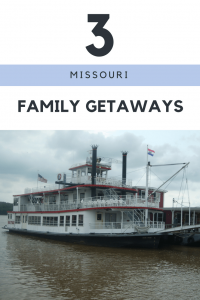 A highlight of our stay in Hannibal was the river cruise aboard the Mark Twain Riverboat. There are several cruise times, including dinner cruises in the evening, but for our family, a late morning cruise seemed best. We sat on the top deck for some of the cruises while the captain told us folk stories of the town. We did get warm sitting up there, so later in the cruise, we went inside for drinks and popcorn. 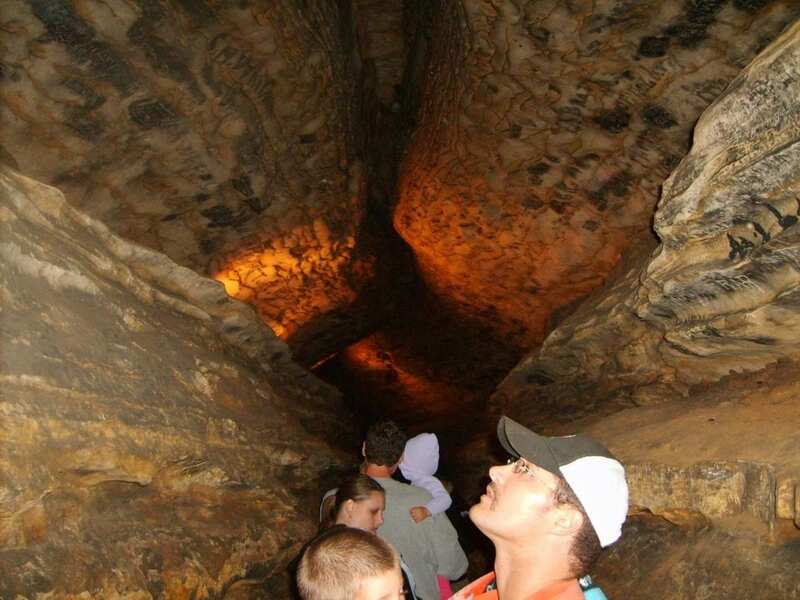 The Mark Twain Cave is another must-do in Hannibal. 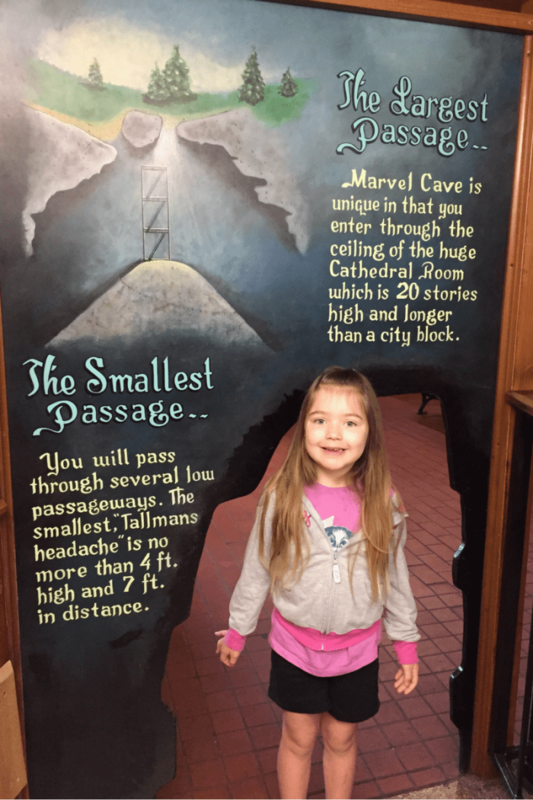 Unlike Marvel Cave in Branson, the walkways are flat and easy to navigate–no steps! This cave stays around 52 degrees all year, so a jacket is definitely recommended here. It is the perfect spot to cool off in the summer. We stayed at the Best Western on the River in Hannibal. We had a view of the Mississippi from our room, and that night, we could see the Mark Twain Riverboat leave for a cruise. The hotel also had an indoor pool that we were happy to use. This was a great place for us to stay. Hannibal is a sweet small town with great activities for families who want to learn a little history along the way. If you feel like getting closer to nature, Roaring River State Park is a beautiful place to explore. Just a few miles from Cassville, Roaring River offers camping, hiking, and, of course, trout fishing. If camping is not for you, there are also motel rooms and cabins available. The park also has a swimming pool for when those summer days get extremely hot. 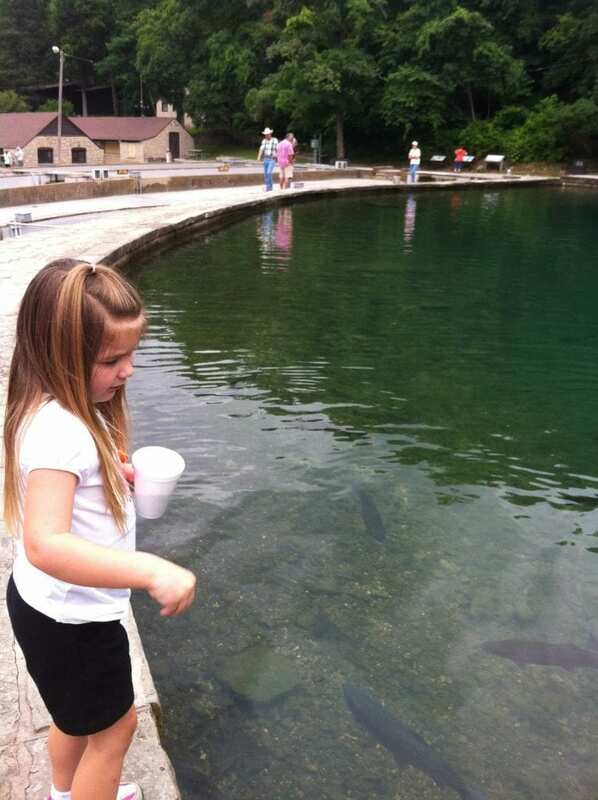 One of the biggest draws for kids is the fish hatchery. 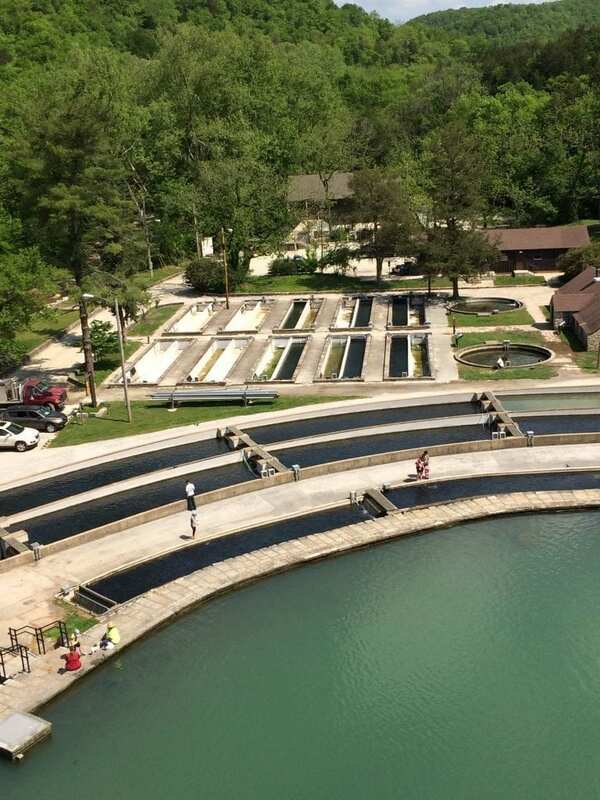 Trout are raised on site and then released into the river. You can feed trout of various ages and sizes, and you can also feed the large fish they use for breeding. 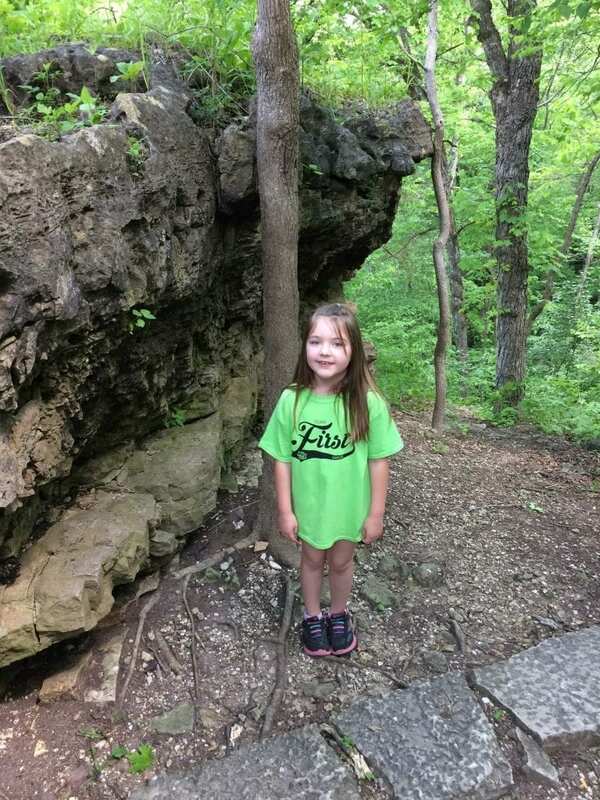 My family’s favorite thing to do at Roaring River is the hiking trails. You can take a short trail back to the spring. One trail goes up over the spring and gives you an overview of the park. Several trails are a few miles. I would recommend doing trails before noon in the summer. Then use the afternoon for swimming! Roaring River certainly has more to do than fishing. In fact, we have never fished there. We just enjoy the great outdoors. 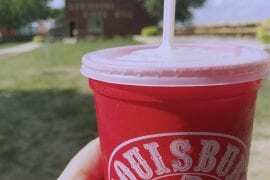 Wherever your family chooses to visit in Missouri this summer, stay cool! 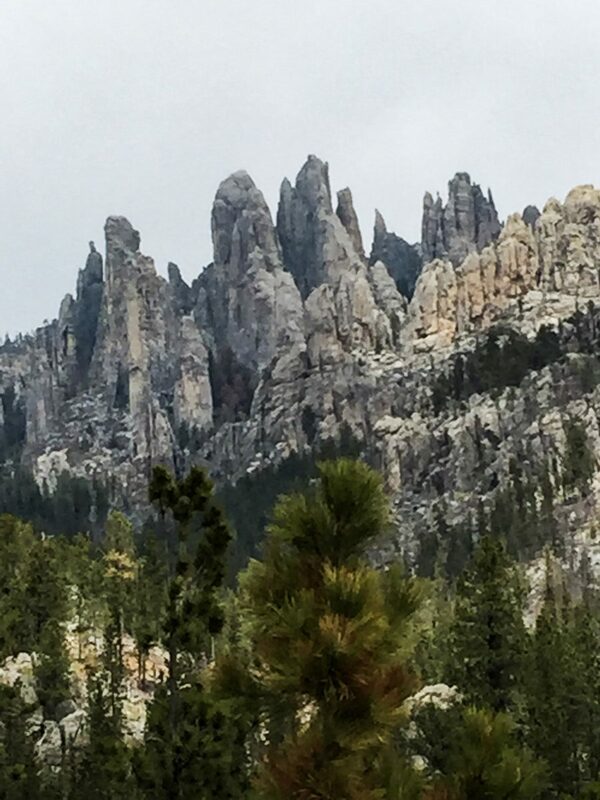 These places are so amazing, Stacey! I would love to spend some time there! Yes, Missouri really is a great state! I love living here! Misissouri is so beautiful and a family place. All rides looks fun n exciting. Missouri really is a fun and beautiful place! ive never been to Missouri! That water park looks awesome. Would love to take my kids to more middle of the country destinations! Wow! I’ve never been to Missouri before but these suggestions look like such great destinations for families! These places really are a lot of fun! You can’t go wrong no matter which one you choose! We recently moved to Iowa from Texas, so this is a great resource for us! We love traveling and discovering new adventures. 🙂 Silver Dollar City looks like a great place to go this summer or fall. It is a lot of fun. Christmas is a wonderful time to visit, too! They all look like fun! I’d really like to take my family to Branson. I believe it’s only about a 6-hour drive from us in the Dallas, TX area. You should bring the family to Branson! It’ a lot of fun. Looks like some great places for families to visit! Thanks for sharing!! Thank you very much! I’m on the road right now, so I don’t have a lot of blog time. I will work on this when I get home! Hi! Great, detailed post. Your pictures really brought out the fun aspect – from the rides to the expressions on your daughter’s face. Glad I passed by – gives me ideas for whenever I manage to visit. This looks so cool! We’ve not been anywhere in Missouri and it’s really not that far of a drive from MN. I’d be very interested in the hiking and the Mark Twain stuff! 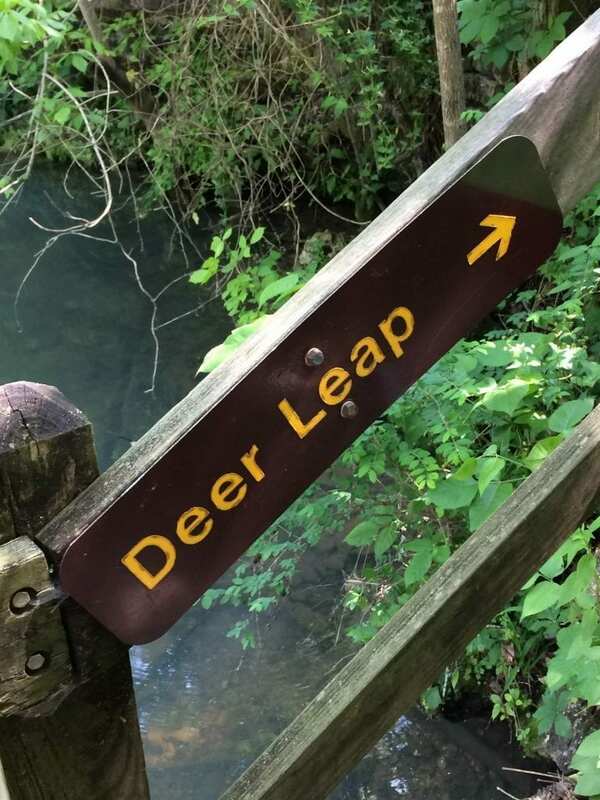 No, it’s not too far! We’ve driven to the Mall of America for a few days before. You should definitely come to Missouri! The only place I’ve been in Missouri in St. Louis but all of these sound like great places to take the family. I’ve heard so much about Branson and Silver Dollar City. Will have to check these out – maybe next summer! You should definitely come to Branson! We love it! That’s a nice list of places. Branson looks like a nice place to go. Thanks for the tip to go early to Silver Dollar City! The Mine Restaurant and the Marvel Cave are totally my kind of places to go! The Mark Twain cave in Hannibal also looks awesome! 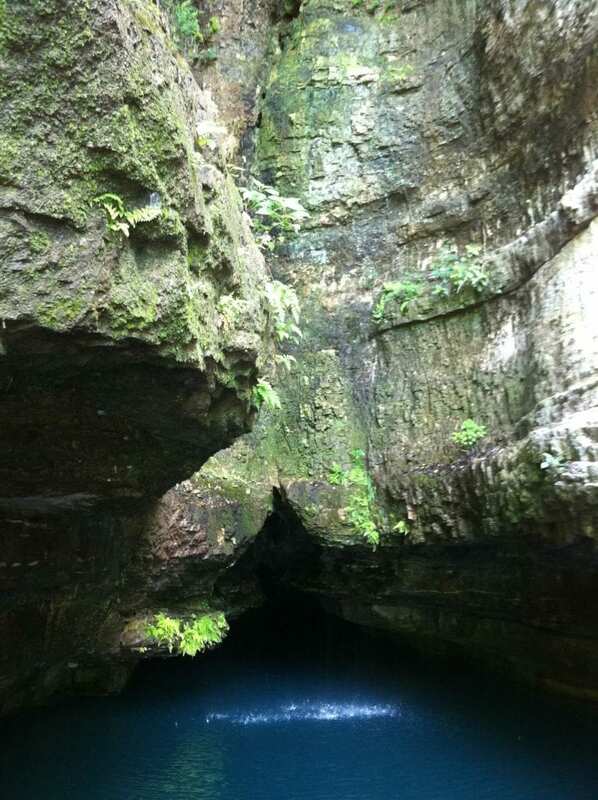 If you like caves, you should definitely come to Missouri and the Ozarks! Wow, that looks like a blast for your kiddos! I love the cavern – bet it was a nice escape from the heat too. Thanks for sharing these tips! We really do love going to these places! Missouri looks like fun for families. 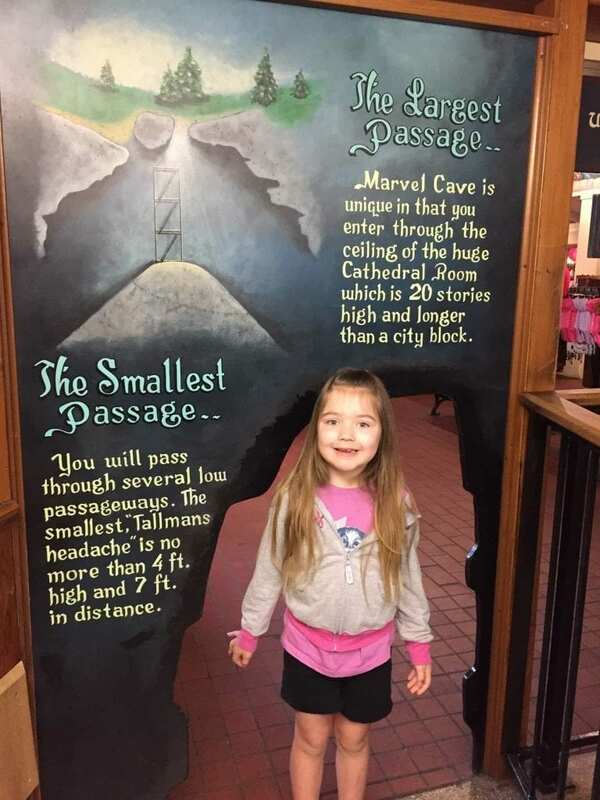 In Silver Dollar city, Marvel cave looks interesting. Also white water is nice way to keep cool in summer. I would love to do Hiking trails at Roaring river. We love all of these Missouri destinations! Thanks for stopping by! These are awesome activities. I like the photo of the Lost River the most. It looks like a lot of fun! This is one of the activities that I anticipate when I go to theme parks. 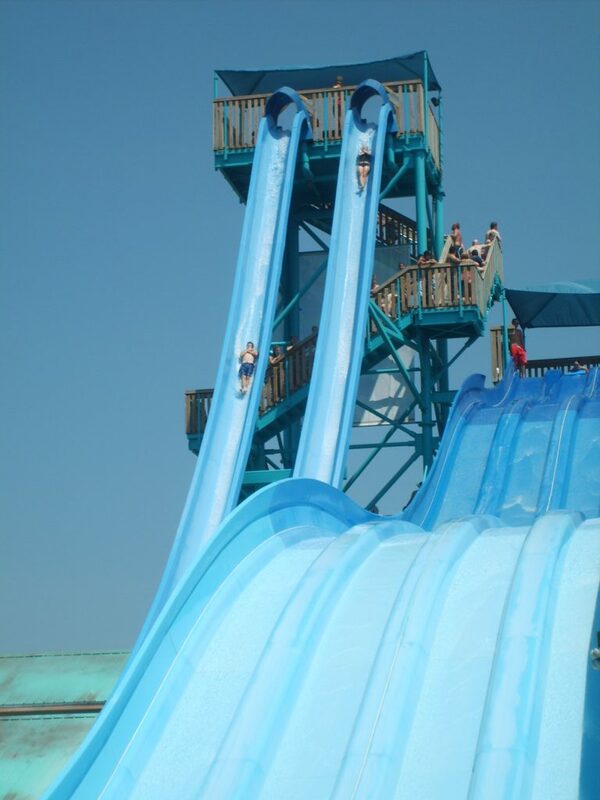 The thrill slide looks amazing but I am kinda scared to try something like that. 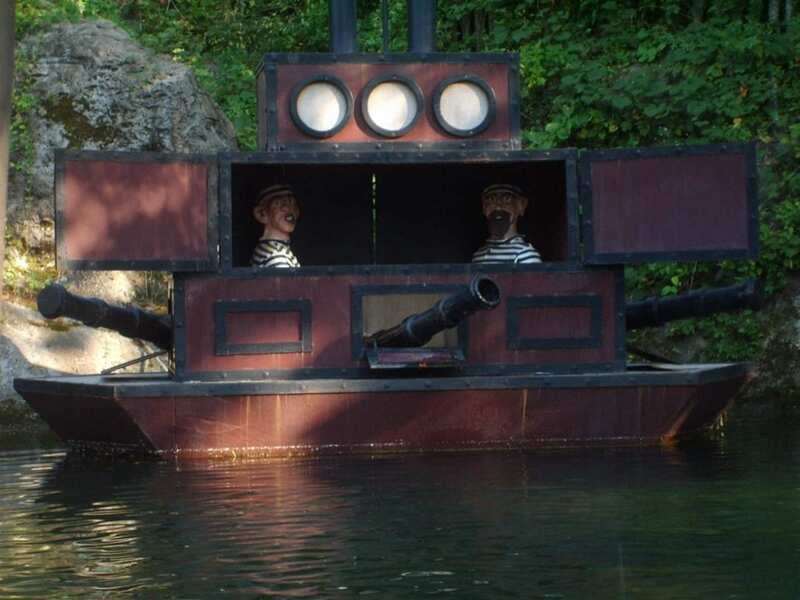 Silver Dollar City does have a nice selection of rides for all thrill levels. They are currently building a new coaster; we are eagerly anticipating it! Omg that water slide! It looks both amazing and terrifying haha. What a great bunch of activities. I liked the different sized entrance for kids! We love to go to Branson for sure! Quite interesting summer getaways for family vacation. I loved the Mark Twain Cave. Your daughter is so adorable. Oh, thank you! She is a little ham.